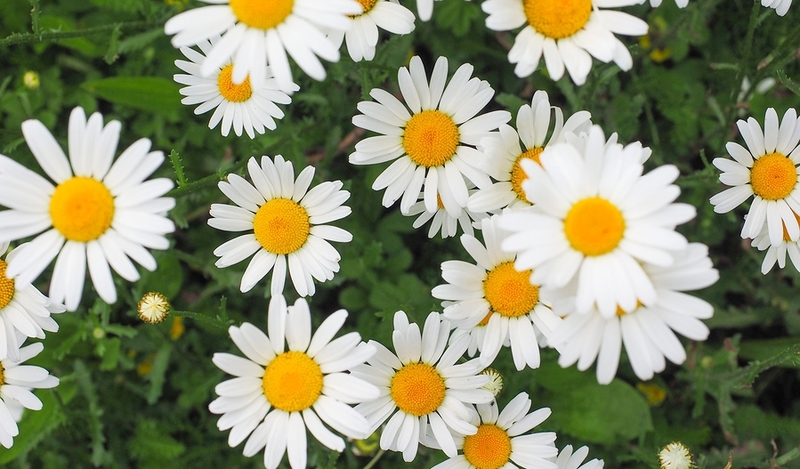 Common Names: European daisy; English daisy; common daisy; lawn daisy. Bellis perennis (Bell-p.) is similar to Arnica montana (Arn.) in that it is a useful remedy for bruises, sprains, and injuries. The pains feel bruised and sore, and may be relieved by movement and rubbing the affected area. It’s a remedy to consider when Arnica fails to help. Bell-p. is used for pain from trauma and bruising to the deeper tissues during surgery, especially of the abdomen and pelvic area, and aids in recovery. It’s also useful for swelling following injury or surgery, especially if Arnica montana hasn’t helped. The person needing Bell-p. may experience ailments from rapid chilling by cold air, cold drinks, or getting wet, when hot. They may also crave pickled foods. • Injury, surgical wounds, or abscesses of the abdomen or pelvic area. • Soreness of the abdominal wall during pregnancy. • Pain and injury of the pelvic organs following childbirth. • Types of dysmenorrhoea with intense sore, bruised pains. • Breast cancer following injury to the breast. • Bruising and haematomas following blows or injuries to the limbs. • Sprains with bruising, stiffness and coldness. • Types of rheumatism especially in older people and those who ‘overwork’. • Injuries to the coccyx (tailbone). • Abscesses with bruising or bruised, sore pains. Bellis perennis (Bell-p.) is available from our online store as a single remedy in either pills or liquid, and as part of the following Complexes (combination remedies): Bruises; Sprains and Strains.